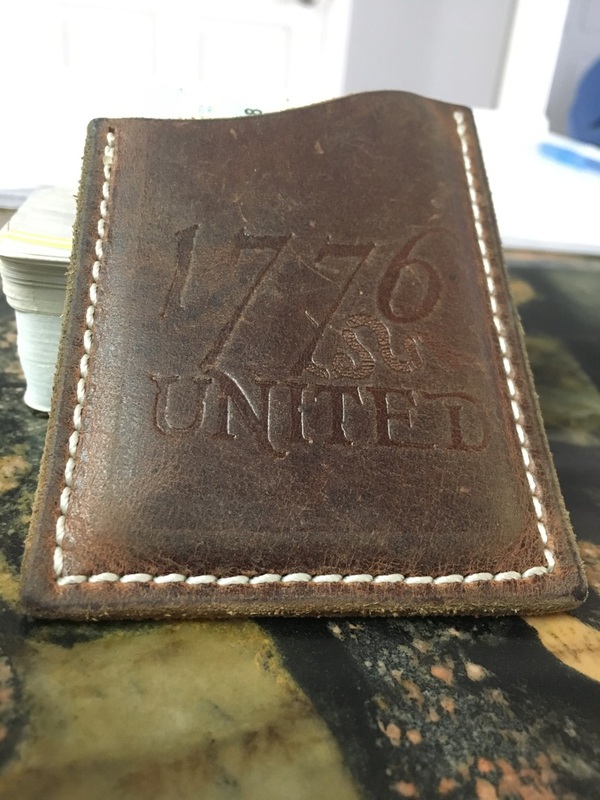 Our custom 1776 United Leather Card Holder is handmade in the USA by Savoy Leather. This thing really is a work of art. Brand new, these card holders are a bit stiff and will take a few days to break in. This is REAL American leather, so understand that over time it will wear and conform to what's inside. Like a fine wine, these babies only get better with age. 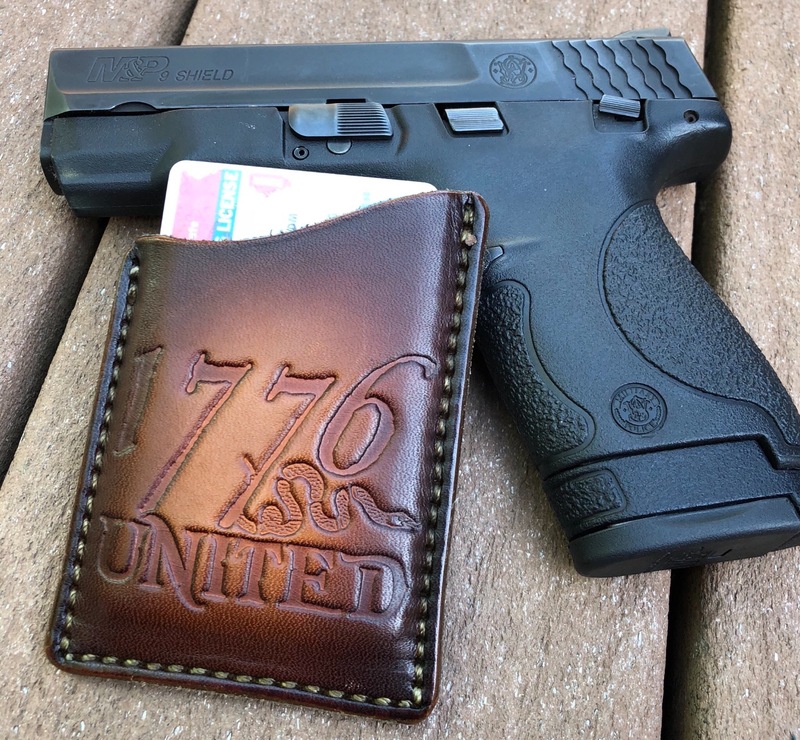 I was able to accomplish two things with this wallet. 1. I have an easy to carry and functional card wallet and 2. Represent two companies that are awesome! 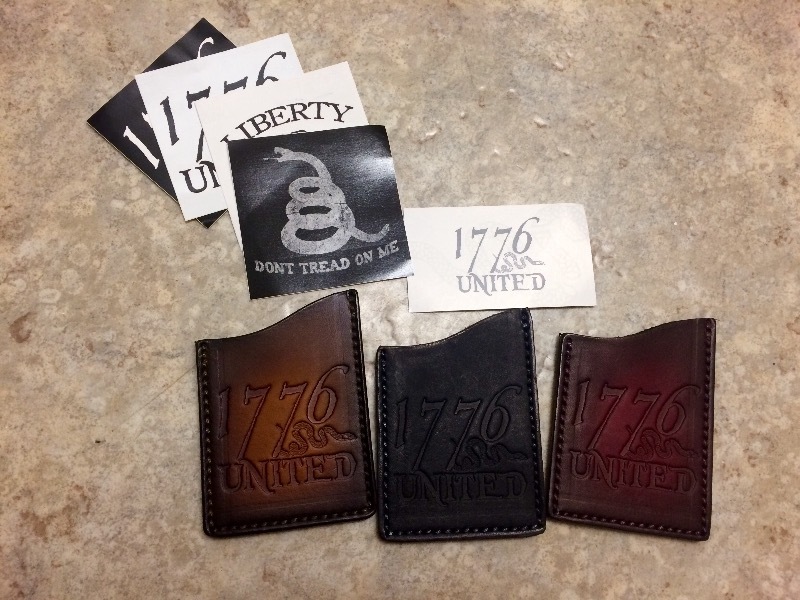 I have not been disappointed with any of the products I have purchased from 1776 United! I just wish his one came with a money clip. I gave this one to my friend and ordered one with the money clip. Excellent build quality card wallet. Fits in pocket perfectly, carries a couple cards and a few bills perfectly. 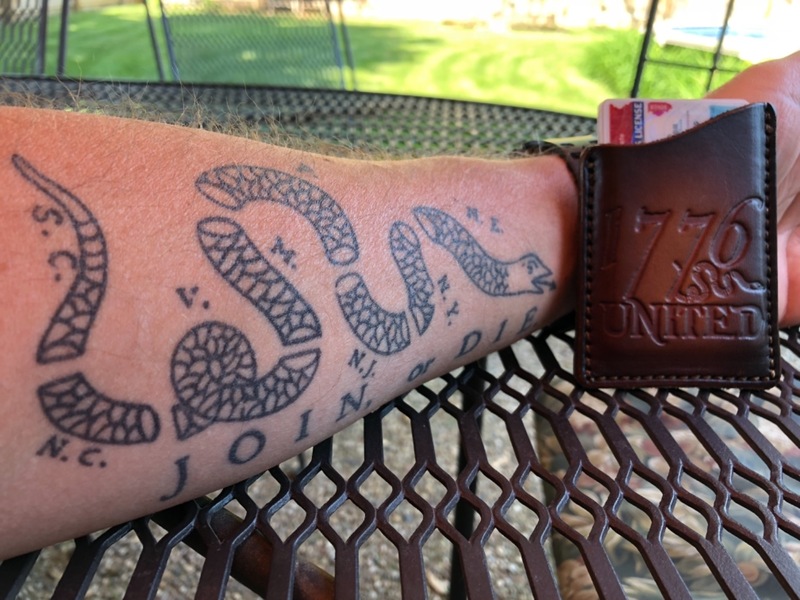 Allows me to show my patriotism every time I pay for something. This wallet has been a wonderful purchase! I recommend that you get it good and wet and then form it around 10 cards for a day or two. This leaves enough space for several cards but doesn't stretch it out too much and remove all tension if you load it up with 12-14 cards. 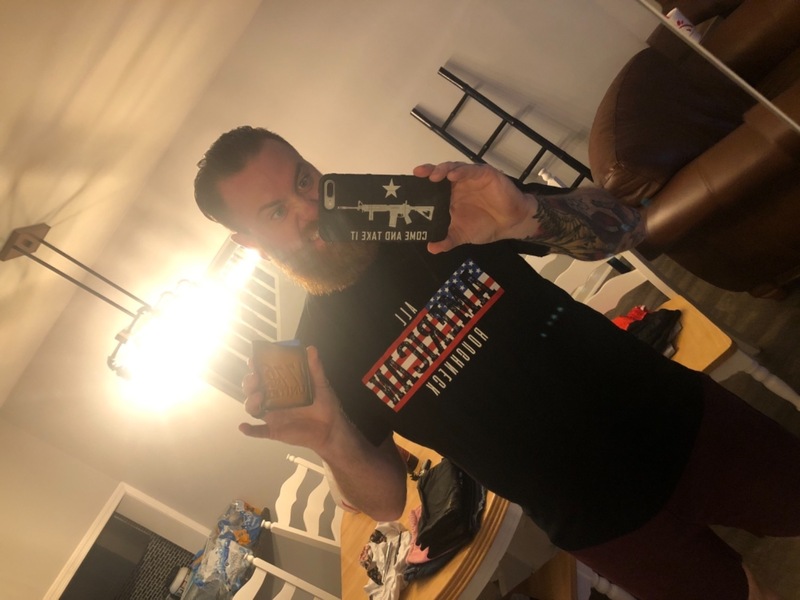 YOU WILL NOT REGRET BUYING THIS WALLET!! !